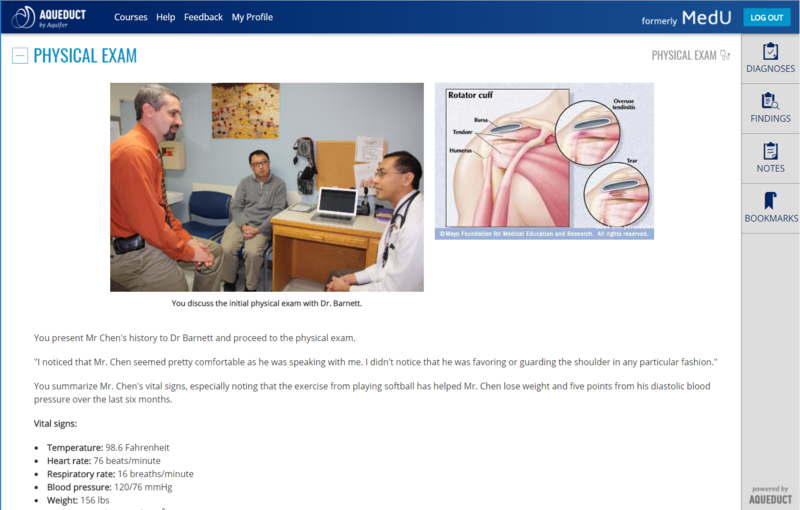 The 40 interactive virtual patient cases in AquiferSM Family Medicine deliver on the learning objectives of the Society of Teachers of Family Medicine’s (STFM) clerkship curriculum, powered by AqueductSM, Aquifer’s learning management system. 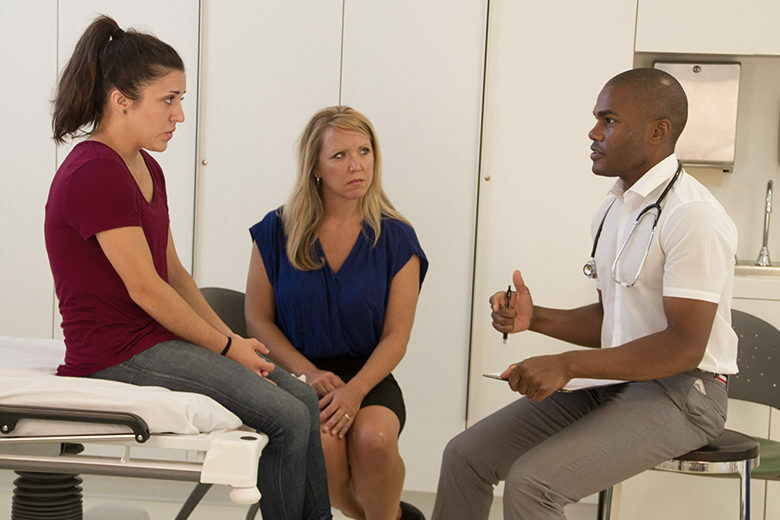 Aquifer Family Medicine (fmCASES) builds clinical competency, fills educational gaps, and helps instill the core values and attitudes of family medicine. The course fosters self-directed and independent study, develops clinical problem-solving skills, and teaches an evidence-based, patient-centered approach to patient care. This course covers the complete STFM Family Medicine Clerkship Curriculum. Course content includes five Aquifer Pediatrics cases and two Aquifer Internal Medicine cases to help cover the full range of family medicine learning objectives. Self Assessment Questions, included with the course content, are a valuable component of the learning and have been shown to improve student performance on exams (Seagrave et al, 2016). Aquifer Family Medicine can be used by third-year medical students, Physician Assistant students, and Nurse Practitioner students as a complement to a clerkship or course on family medicine. Research has shown that students who complete more cases perform better on the Aquifer Family Medicine exam (Chessman et al, 2013). Even if you aren’t requiring all 40 cases, we recommend encouraging your students to complete as many cases as possible. 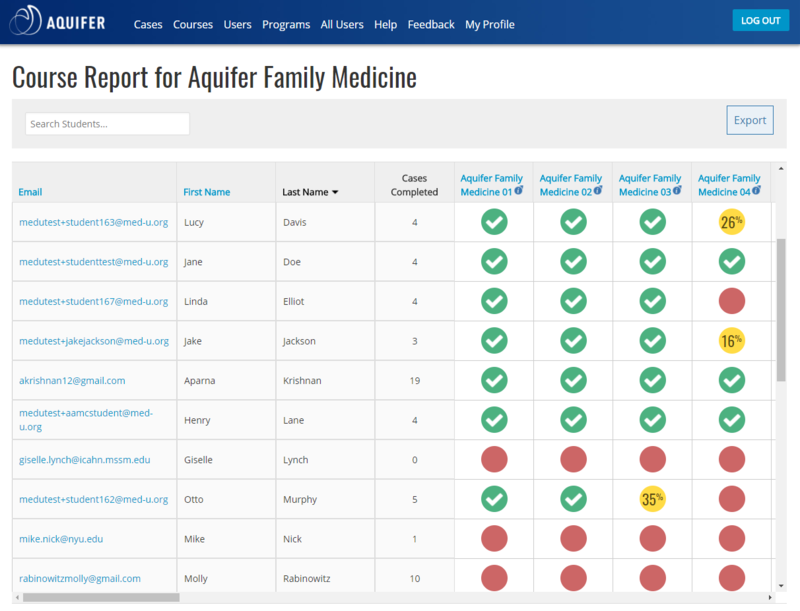 We are excited to share that innovative new formative assessments are now in development for Aquifer Family Medicine to be available in July 2020. 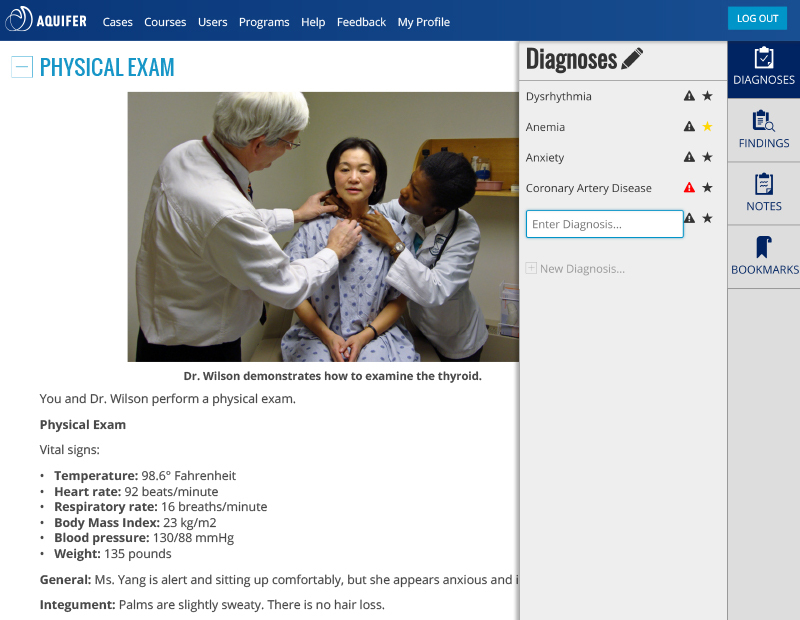 The new test-enhanced learning tools will deliver granular feedback with recommendations for efficient, structured remediation and self-directed study. Our current 100-question summative multiple-choice exam will continue to be available in its existing format until June 2020—and the new assessments will include a modified option for summative assessment. For more information, please read our Assessment FAQ’s. Aquifer’s online, validated summative exam is included with your Aquifer Family Medicine course subscription. 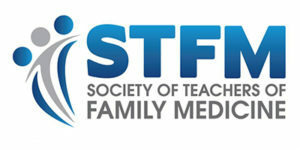 Unlike the NMBE, our 100-item, multiple-choice exam was created by Society of Teachers of Family Medicine (STFM) educators as an assessment tool based specifically on the Family Medicine clerkship curriculum. The exam is delivered in a secure browser and is accompanied by student assessment reports with individual, class, and benchmark data. It can be used to replace or enhance an existing comprehensive assessment or to remediate students. The exam has also been found to improve NBME performance when used as a pre-test (Nguyen 2018). A study of 130 medical students at one institution found the percent correct on the Aquifer Family Medicine and NBME examinations were highly correlated (Pearson correlation coefficient = 0.607). Using linear regression, performance on the Aquifer Family Medicine exam was a very strong positive predictor of subsequent NBME scores (p=.00000000000002) (Sussman, 2012).